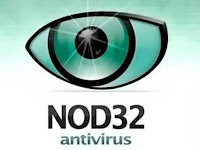 ESET NOD32 Antivirus 5 is a security software that will allow you to use your computer in a completely secure way and protect you from online threats, whether you need to check your bank information, manage your email accounts, shopping online or just while you browse the Internet. This antivirus has a very powerful search engine that detects any file that might represent a threat to both your privacy and your PC. In addition, this security software includes an interface with tons of personalization options that allow you to make the best of it and keep your computer safe and protected at all times.